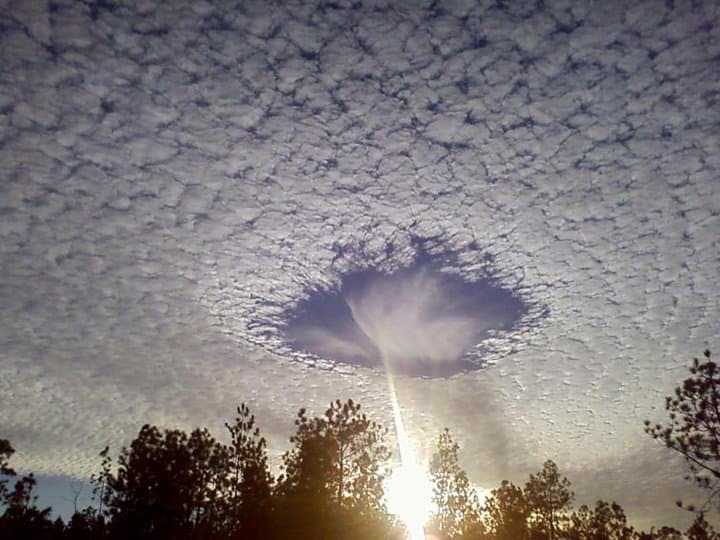 This is a rare meteorological phenomenon called a skypunch. When people see these, they think it's the end of the world. Ice crystals form above the high-altitude cirro-cumulo-stratus clouds, then fall downward, punching a hole in the cloud cover. Freakishly weird!